SALINAS, CA--(Marketwire - July 14, 2010) - The iconic Green Giant® brand and the Facebook™ gaming sensation FarmVille™ are offering online game players -- and their families -- another incentive to eat their fresh vegetables. FarmVille recently passed its first anniversary as the No. 1 gaming application on Facebook. Nearly 65 million people worldwide play the game, with 20 million playing daily. In this promotion, selected Green Giant Fresh products contain a packaging sticker that includes a code redeemable online at www.TheGiant.com for 5 Free Farm Cash, one of the official FarmVille currencies that players use to manage virtual farms on Facebook. Company President Jamie Strachan said Green Giant Fresh welcomes this opportunity to introduce gaming fans of all ages to the historic produce company's products and values. "The sense of accomplishment we feel when we harvest a Green Giant Fresh field, the importance of community, and the stewardship of our land are values that Green Giant has represented for more than 100 years," Strachan explained. "By rewarding customers with FarmVille Farm Cash, we can share our real-life farming experience and become a supportive part of their FarmVille online community." Launched in Target's Fresh Grocery and SuperTarget stores before Memorial Day, by the 4th of July weekend the promotion had expanded to more than 4,000 grocery stores nationwide. 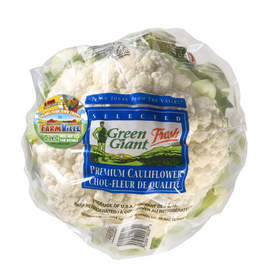 An online store locator at www.GreenGiantFresh.com makes it easy to find participating grocers. Farm Cash stickers now appear on 25 different Green Giant Fresh produce items to over 15,000,000 Green Giant Fresh customers through the month of July. In the first month-and-a-half pilot for the promotion, over $100,000 in virtual Farm Cash was redeemed by customers using their Green Giant Fresh FarmVille codes on http://www.TheGiant.com. 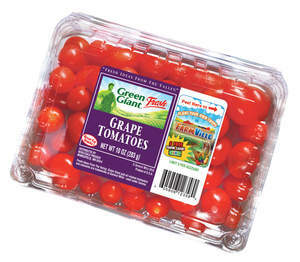 Green Giant® Fresh provides a wide variety of high-quality, fresh fruits and vegetables to consumers. Green Giant Fresh is the nation's most trusted brand in produce, offering over 50 varieties of fresh fruit and vegetables grown by the nation's top growers. Green Giant Fresh delivers a high level of quality unsurpassed by any other brand and recognized by 96 percent of consumers. 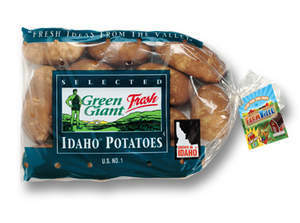 To learn more about Green Giant Fresh products and the FarmVille promotion, go to www.GreenGiantFresh.com. Green Giant started out in Le Sueur, Minnesota, as the Minnesota Valley Canning Company in 1903, when some 11,750 cases of white cream-style corn were sold in the company's first year. For the past 100 years, the Giant's Valley is where the freshest and greatest-tasting vegetables are grown and picked at the peak of perfection. The wide range of Green Giant frozen vegetable varieties include bagged and boxed classic frozen vegetables, frozen side dishes and Create a Meal! Meal Starter. The brand is now part of General Mills, Inc.